Board members, colleagues, staff, and friends gathered at the Martin House on September 4 to bid farewell to John C. Courtin, who more than any other individual, in his capacity as Executive Director of the Martin House Restoration Corporation, brought the six-building Martin House complex to its present state of restoration and reconstruction. 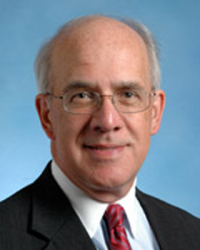 Through an enviable combination of keen, absorptive intelligence, endless energy for work, and an ever cheerful demeanor, John has had an indelible impact on the city of Buffalo. We will miss him and Sharon, his wife. 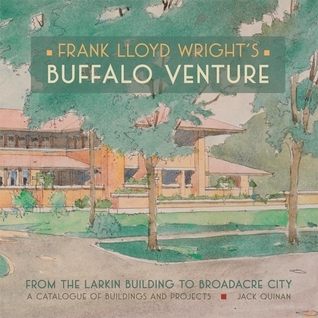 Pomegranate Communications, Inc. in San Francisco has just released my book, Frank Lloyd Wright's Buffalo Venture: From the Larkin Building to Broadacre City. Following monographic studies of Wright's Larkin Administration Building (1987) and Frank Lloyd Wright's Darwin Martin House (2004) I decided to write an essay and catalogue all twenty-four of the buildings and projects that resulted from Frank Lloyd Wright's involvement with his Buffalo clients between 1903 and 1935. 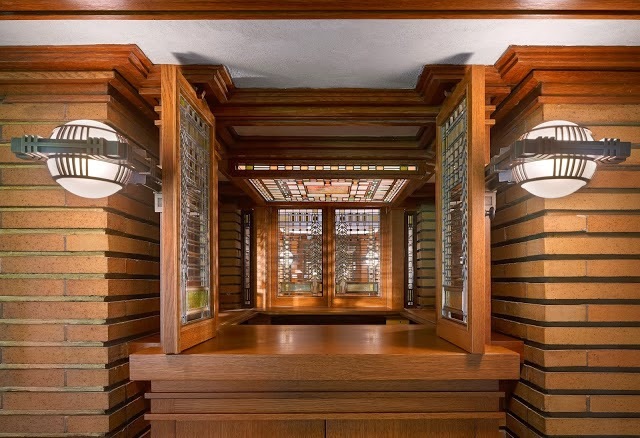 The project resulted in an exhibition at the UB Anderson Gallery in Buffalo in 2009 timed to coincide with the Annual Meeting of the Frank Lloyd Wright Building Conservancy in Buffalo. I am pleased with Pomegranate's fine production and I would like to thank all of those many people who helped to make it possible.